HealthLink staff headed to Las Vegas for our annual in-person Steering Committee meeting. The meeting was an invaluable opportunity to have both veteran and new members in one place! Topics discussed included LGBT tobacco and cancer 101 (to get everyone on the same page), future Steering Committee engagement in implementing the grant, strategic issues around internal and external communication around HealthLink’s work, and coalition building. The meeting was a huge success, and we are looking forward to the implementation of our next steps with the Steering Committee! Directly after the Steering Committee Meeting, The LGBT Cancer network hosted their Cancer Best Practices meeting with invited national experts from around the country. The meeting focused on outlining issues across the cancer care continuum and identifying best practices. The documents-in-progress will be opened up for public comment in October. Our week in Vegas ended with the annual CenterLink Executive Director Summit. With approximately one hundred ED’s from centers all over the country, the summit was an ideal time for HealthLink to introduce our upcoming goals and programs for next year, as well as discuss future collaboration opportunities. After Las Vegas, Scout continued onto New Mexico to speak as the keynote at the 2014 LGBTQ State Health Summit. There were approx 125 attendees, and he enjoyed the state’s famous green chile! Program associate Felecia King and Scholarship Blogger Faith Cheltenham attended the National Black Justice Coalition conference. See below for their blogs on the black LGBT community and health intersectionality. Our social media presence continued to grow in September. By the end of the month, our Facebook reach was up to 291,566 people, with over 3,000 clicks on our links and page, and over 5,000 followers. OSH alerted us to the release of new study in the American Journal of Preventive Medicine, “Menthol Cigarette Smoking among Lesbian, Gay, Bisexual, and Transgender Adults.” We contacted our Network and media contacts to disseminate the news. DO LGBT YOUTH HAVE CANCER DISPARITIES? 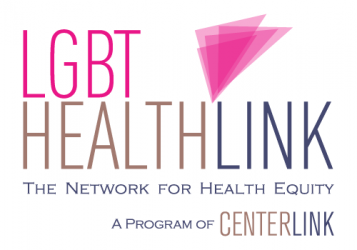 The Network held a Best and Promising Practices in Cancer in the LGBT Communities meeting in Las Vegas September 17th and 18th, with invited national experts to outline issues across the cancer care continuum. We will be opening the documents-in-progress up for public comment in October. The Network provided TA to UK LGBT Cancer folks and to the CA LGBT Cancer Task Force. The Network developed a partnership proposal with Bradbury Sullivan LGBT Community Center to create an ovarian/endometrial cancer education and awareness campaign for lesbians and bisexual women in the Lehigh Valley, PA.